M-exogon | Spaceship! Spaceship! Spaceship! 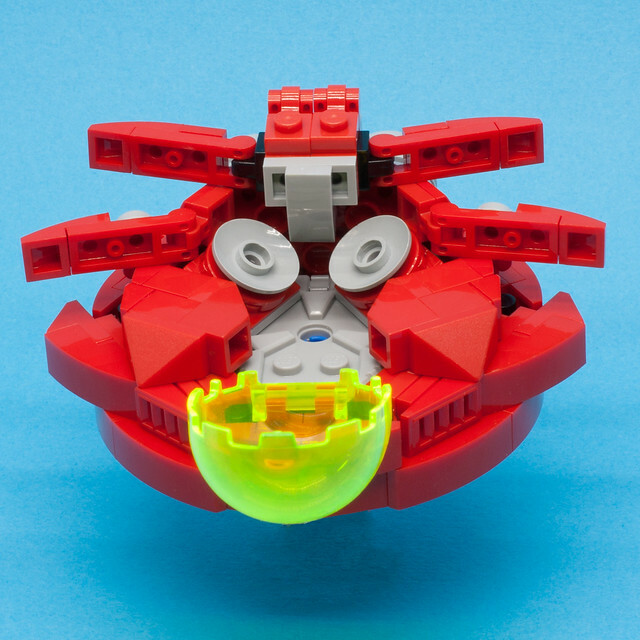 The fine folks over at New Elementary are running a Parts Festival around the “Nexogon”; the 6 sided shield piece that comes with the new Nexo Knights Battle Suits. Whilst this is really interesting, neither the Nexo Knights, their Battle Suits or the Nexogon are a spaceship. Fortunately, Neil Crosby has built one from them. Phew. 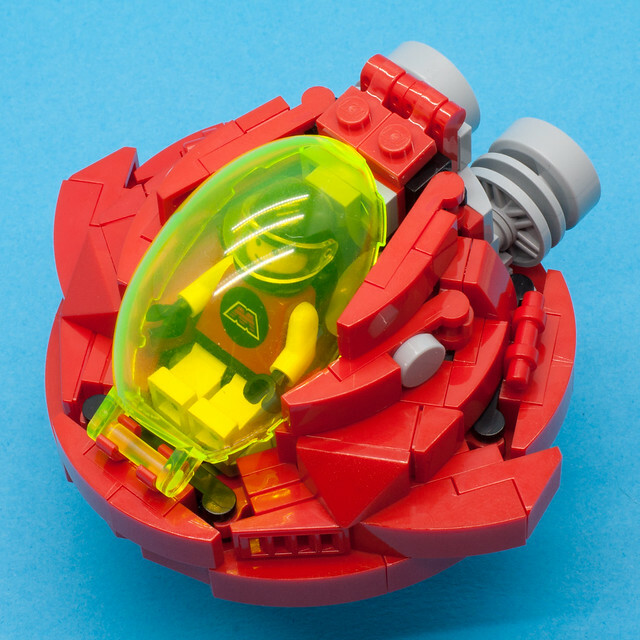 It’s a really neat bubble-like affair, kitted out in M-Tron colours with a retro minifig to boot. 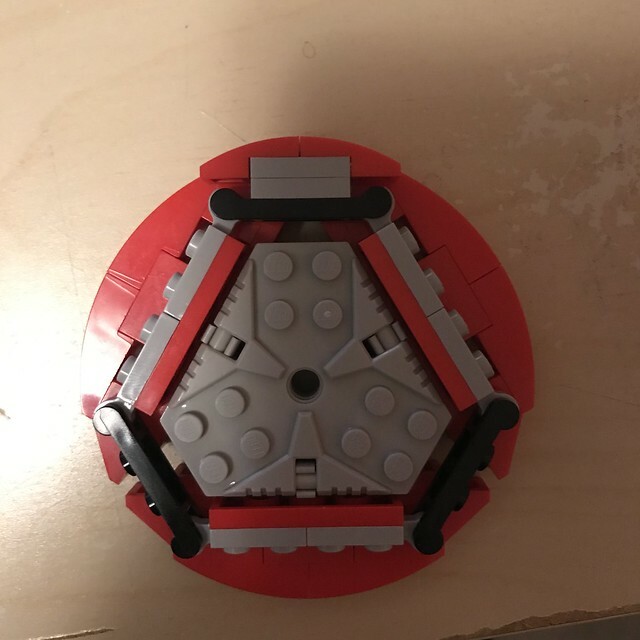 What’s really interesting from a building perspective is that Neil has shared the “tablescrap” that led to this model; the arrangement of pieces around the Nexogon which led to this design. It’s interesting you can’t even SEE the Nexogon any more, but it lends its unique properties to the formation of the shape. Only when opened up do we see the the Nexogon nestling inside; along with the massive speakers the M-Tron dude uses to pound phat baselines as he zips through space. This entry was tagged classic space, minifig scale, MOC. Bookmark the permalink.